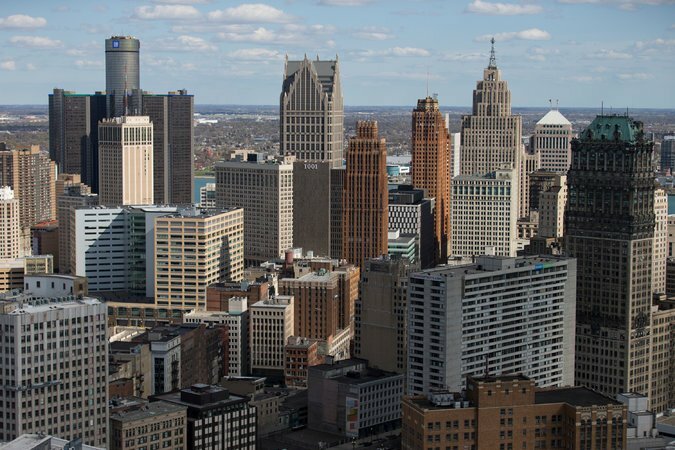 Judge Steven Rhodes has approved of Detroit’s plan to exit from bankruptcy, 16 months after the city became the largest ever in the US to go broke. The plan includes a 4.5% cut to the pension plans of general retirees, spending $1.7 billion to demolish abandoned buildings and other measures to erase nearly $7 billion of debt. Judge Steven Rhodes said he found the plan fair and reasonable. The verdict was expected after most major creditors struck deals. In announcing his approval, Judge Steven Rhodes said that the plan, which limits cuts to city retirees, “borders on miraculous”. After Detroit initially filed for bankruptcy, many unions had staged protests demanding that any deal with the city’s creditors spared pensions as much as possible. Detroit’s population has dwindled down to 688,000 from 1.2 million in 1980. A series of bad deals, corrupt mismanagement by previous mayors and unreasonable promises to pensioners exacerbated the city’s debt woes, just as tax revenue from the shrinking population declined drastically. That made Detroit’s bankruptcy filing almost inevitable. In order to appease creditors, the city has struck a variety of deals, including handing over the management of the Detroit Red Wings hockey team to one firm that had been demanding the city auction off the many masterpieces held by the Detroit Institute of Arts (DIA). That deal spared the DIA’s collection, as did an unusual agreement in which the state of Illinois, foundations and private philanthropists agreed to donate money to the city to keep the institution safe as well as to prevent draconian cuts to retirees.